Everyone enjoys a good massage - even cats! While some cats may be very specific about where humans are allowed to touch them, most enjoy a nice scratch around the ears or chin. If you have a cat that enjoys a nice petting session, why not take it to the next level with a relaxing massage? Kooky Kittens sent us one of their Cat Massage Rollers to try out. It is definitely a fun and unique product. The Cat Massage Roller is made to fit all cat body sizes with an adjustable handle. It looks a bit strange at first glance, but here's a short video showing exactly how it works. I wasn't sure what Callie would think of something like this. She has limits on where she allows us to touch her, but her head is generally a good place to start. If I catch her in a good mood, she will allow me to massage her face a little bit. Otherwise, she wants nothing to do with the Cat Massage Roller. Roadside on the other hand always enjoys his massages with this contraption. He will sit still and let me massage his face if he's in a quiet mood. And if he's feeling rambunctious, it makes a fun toy. There is no better way to show your cat you love them with a nice relaxing massage! You can find a Cat Massage Roller by Kooky Kittens online HERE. 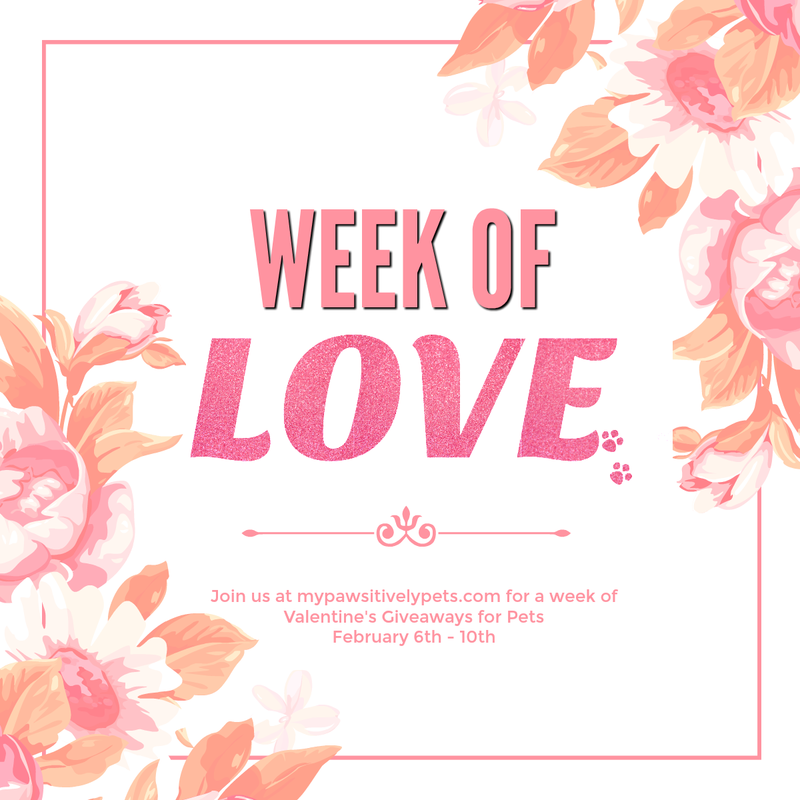 As part of our Week of Love giveaway event, Kooky Kittens has offered to give away one Cat Massage Roller. 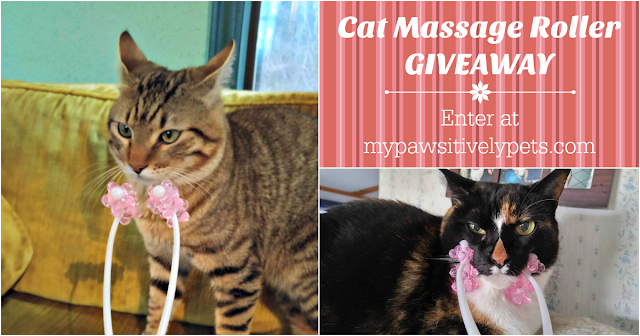 If you think your kitty would enjoy a massage, use the Rafflecopter form below to enter the giveaway. This giveaway is open to US residents only (void where prohibited by law), ages 18+, and ends on February 22, 2017 at midnight CT. Good luck! We received a free Cat Massage Roller from Kooky Kittens. Pawsitively Pets only shares information we feel is relevant to our readers. What a cool tool that lots of cats will enjoy. Thanks for sharing! whitefish waves guyz...callie...we iz with ewe...we R knot much for partz oh R selves bee in touched; we iz knot sure we wood like thiz... but it sure looks like de catz in de moovee think itz awesum !!! i dont have any kitties, just 3 doggies, however, i would love this to donate to safe haven for cats, for their rescue, and their pet food bank. I have a big tuxedo buy named Beans who would love this! We would love to get massaged! My kitties would so love this one they are always rubbing against the closet doors so this would be perfect for them. Oh, that sounds soooo nice! LOL Love the video! Those kitties look very happy getting a massage :) I'd like to try this with our kitty, Sammy. what a fun giveaway :) I wonder if any of my cats would like this, but I'm pretty sure my foster kittens would. A great tool here! Thank you so much for sharing! Gabby would love a massage all day long. I have two cats who are opposite of each other. One would love this, and the other would try to kill it! I actually have a hairless cat that I think would love this. He's always rubbing up on everything and he loves massages! So cool! HAH! I guess TW could "touch" me without touching me and without getting bit. OTOH, I don't like anything around my head or near my neck. I freak. Oh I'm sure you could still bite TW MOL... Callie was not in the mood for it one day. My cat Milkshake would love this! She is my sweet old cat! My cat snickers loves to be scratched behind his whiskers. he showed up on my doorstep last year no one was missing him and he became mine!